Beautiful Bali offers such a diverse and colourful experience. It is a humble and friendly island offering warm interactions, epic adventures, spiritualism and scenic surroundings. 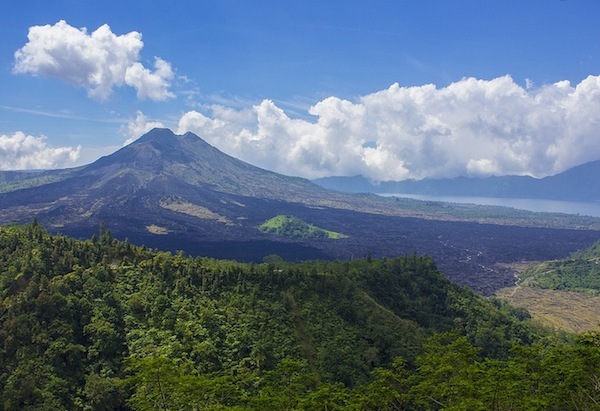 Bali is far more than just an inexpensive escape for Aussies. Bali is referred to as ‘The Island of the Gods’ and it is certainly worthy of the title. The beautiful island is full of spectacular scenery ranging from majestic Mount Batur, a volcano in the north that rumbles into life occasionally surprising visitors, to the wide sandy surf beaches of the south. In between areas of forest and terraced rice fields provide a lush landscape. Dance plays a significant part in Balinese storytelling. The costumes and the bewitching movements that feature in traditional dance performances are fascinating to watch. A popular dance explaining Bali’s respect for both good and bad spirits is the Barong dance. Click here to read more about it. Bali is unique in Indonesia for having a population that is predominantly Hindu rather than Muslim. Apparently there are over 20,000 temples on Bali, which gives an indication of their significance to the Balinese. Some temples are open to be visited by the public if respectable dress is worn. Offerings are given to the gods each morning and are often seen adorning the feet of statues and on the thresholds of dwellings and shops. Considered the artistic heart of the island, Ubud has attracted many artists, writers and other creative types over the years. It also rose to fame with the release of the book, and later the movie, Eat, Pray, Love. Along with museums and art galleries Ubud also boasts a monkey forest and a large market. 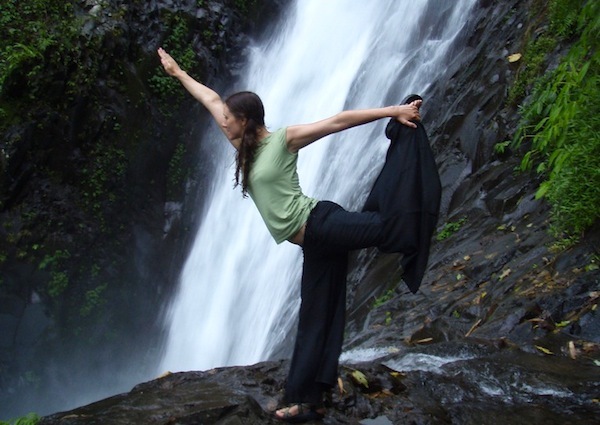 Many yoga retreats operate in Bali, especially around Ubud as it is about an hour inland and far from the chaos of the resort towns. Ubud offers a serene environment in which to stretch and reconnect with yourself. The south of Bali has fantastic wide sand beaches, some of which offer perfect conditions to surf, or learn to surf, in. Several surf schools operate along this coastline. If surfing is not your thing there are plenty of lounging opportunities too. Balinese cuisine is diverse and interesting. Rice and noodle dishes are staples, as in much of Asia, but they are presented with a Balinese twist. Nasi Goreng is the national dish usually eaten as breakfast or lunch by locals. It combines fried rice with omelette and is often offered to visitors with chicken satay. If you’re more of a noodle person try the noodle-based equivalent mie goreng. Read more about Nasi Goreng here. Bali is not especially well known for the animal encounters on offer. The Monkey Forest in Ubud offers close-up experiences with cheeky Macaque monkeys. Anywhere tourists go there is likely to be someone keen to wrap them in snakes. The island also has a healthy population of bats. 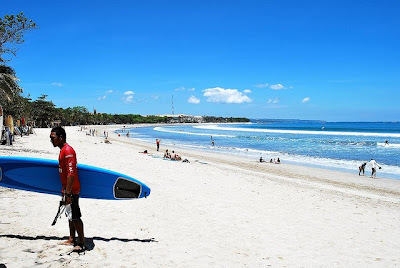 There are some great treasures to be found in Bali for those keen on shopping and the friendliness of the Balinese shopkeepers makes shopping a pleasure. Everything from statues of Buddha to intricate jewellery and beautiful fabrics is on sale somewhere and oat a price to suit everyone. Highlights include Ubud Market and some of the street-side shops in Legian. Read more about shopping in Bali here. After a hard day making the most of all the other things on offer in Bali a massage is the perfect way to wind down. Massages of varying degrees of intensity and method are available in Bali. Ask to see the facility and take a moment to discuss what sort of massage you want before surrendering yourself is my suggestion! Have you been to Bali? What do you consider to be the best bits?